MLB catcher who was first round selection of the New York Mets in the 2012 MLB Draft. After a successful minor league career that included an appearance at the 2014 All-Star Futures Game, he made his big league debut in 2015. After going undrafted out of high school, he attended Purdue University, where his play made him the third-highest draft pick ever to come out of the school. A two-time Johnny Bench Award consideration in college, he was named the Big Ten Conference Baseball Player of the year as a senior. 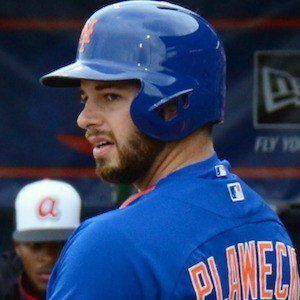 He was born to Jeff and Lynne Plawecki and has a younger brother named Aaron. His first career hit came off Trevor Cahill.